From all of our staff at PJO Insurance Brokerage to all of those in Orange County, CA we wish you a “Happy New Year” and our hope for all of you is that in 2017, your company will find incredible successes in your business dealings. Regardless of what political position you took, if you are like the majority of us, you are probably elated the election process is over, it did seem to carry on a very long time. We understand as professional businesspeople, regardless of the outcome for the Presidency, that business doesn’t stop for anyone or anything, and we will adjust our plans so our businesses are on the very best path possible to have a successful 2017. Our hope here at PJO Insurance Brokerage is that 2016 was a good year for your business and if along the way, some miss-ques did happen, they were on the smaller side and gave you valuable information planning for 2017. We assume like most companies, you have been working on your company’s business plans and budgets for 2017 with the goal in mind of increasing your sales, while trimming those expenses. One of the expenses that will likely catch your focus will be your business insurance costs for 2017. At PJO Insurance Brokerage we encourage our clients to review thier current insurance coverages at least once a year to ensure they have the proper coverage for their current operations. If your company is fortunate to have no losses on their record, having proper procedures in place to safeguard against possible claims, you are the type of risk that insurance carriers would like to have on their books. We advise that when you go over your insurance coverages with your agent, you inquire if there are other carriers who could provide a better premium, all the while not sanctifying coverage or service. Hopefully there will be additional coverages added without increasing the price. When you review your company’s General Liability policy in Orange County, check to made sure that it provides the proper limits based on your particular area of business. If your company is one that distributes or produces products, did your company delete or add or delete any products this past year? It is extremely important that you review your policy with the agent to make sure your company is properly protected for 2017. Another insurance coverage that needs a review would be your property and inland marine policies. In the past year has your company’s inventory, tools, real property or machinery, decreased or increased in value? If your company had the misfortune of having a huge loss regarding these product insurance coverages in Orange County, you don’t want to discover that the coverage you have is nowhere what you actually need, therefore causing your business to spend potentially thousands of your hard-earned dollars to replace the items, or if you don’t the funds on hand, be forced to close your business for good. Does your company own any buildings? If the answer is yes, with real estate values on the rise these past few years, make sure that current value of your building is in line with what your property insurance coverage is. Your next review should be your vehicle insurance costs. Check your current policy to make sure that only the vehicles you want insured are on the policy. Nationally, auto rates have been on the increase these past two years and if your record is clean, make sure you are getting all the discounts you are entitled to and if the insurance carrier you are with is the best one for your needs and budget. Your next review to many company owners represents one of the biggest insurance expenses and one that involves what seems to be an endless amount of paperwork, their Workmen’s Compensation Insurance. Look carefully over what class codes you are being charged for, make sure that you aren’t being charged in a higher cost code when you shouldn’t be. In some instances, your company may come to the conclusion that would be better to sub out some jobs based on these particular class codes that carry high rates especially if your company doesn’t perform them often such as roofing insurance in Orange County, framing, and welding to name just a few. If you do sub-out work, it is very important you collect certs from subs along with the proper endorsements. We have just discussed a handful of coverages that Orange County, CA companies use for their protection, but whatever polices your company does use, it would be prudent to review these insurance policies at least once a year if not more. 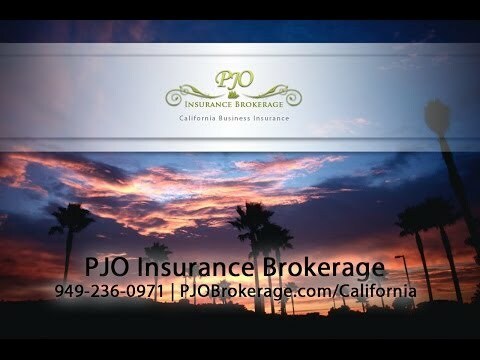 In the coming year, if PJO Insurance Brokerage can be of any service to your company either assisting with acquiring additional insurance coverages or reviewing your current, we would welcome the opportunity to work with you. In closing, our hope for your company that 2017 will be a banner year. To all we say HAPPY NEW YEAR! !